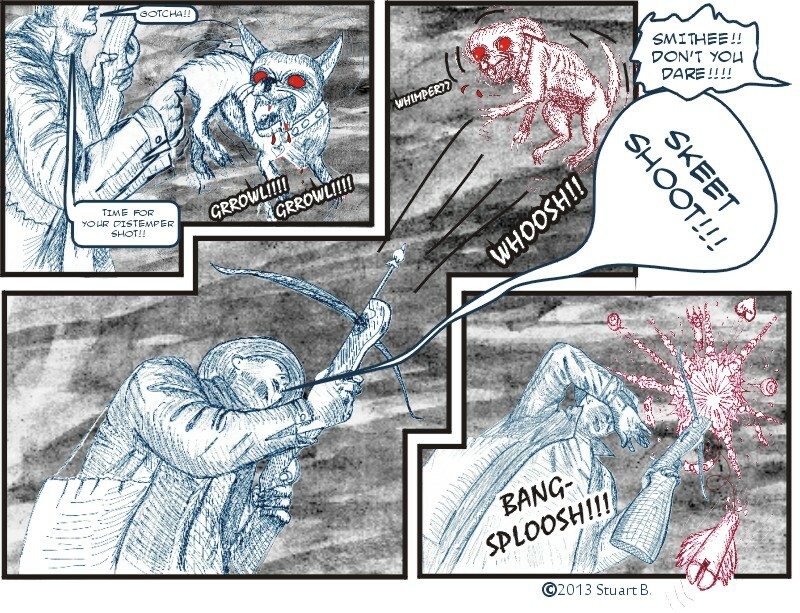 Smithee Zombie Hunter - Honey – I blew up the dog! Honey – I blew up the dog! Grabbing a Zombie Dog by the tail! Something I don’t recommend! But Smithee is a little faster than your average Joe. I’ve gotten better at drawing Chiu… dogs, now that I don’t have to any more. So maybe if you ask me to draw Mitsy at the next Vegas Valley Comic Book Festival I just registered for (which is on Nov. 2), I can draw you one.